There’s plenty of characters in Maine, and Frank Anicetti was certainly one of them. 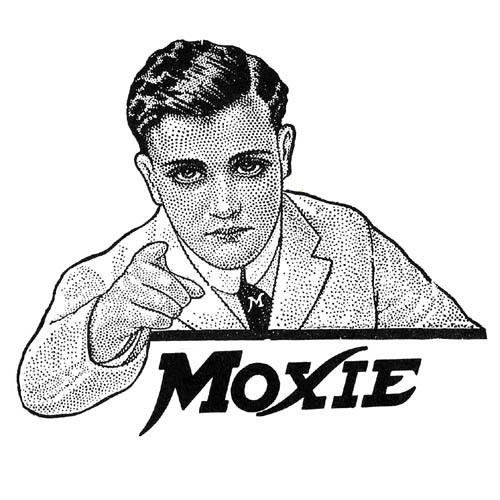 For reasons that were not completely clear to me, the variety store owner developed a real passion for Moxie, the soft drink, and that passion led to one of Maine’s most unusual summer festivals, Moxie Days. I spent an afternoon with Frank at his store, Kennebec Fruit, back in the late 1980s, and this story resulted. LISBON FALLS, Maine (UPI) — It’s easy to see that Frank Anicetti has plenty of Moxie. It’s stuck to the ashtrays, sewn on the stocking caps and printed on the t-shirts that crowd his tiny variety store in a tired old mill town. Anicetti, 46, may be the world’s biggest drum-beater for Moxie, the slightly bitter soft drink that has been a New England institution for more than 100 years. His Kennebec Fruit Store is lined with memorabilia, Moxie displays and Moxie signs from previous eras. Even the modern political signs in the in the windows have a decidedly Moxie influence. Being the only Moxie booster in Lisbon Falls may be a lonely mission. But all that changes next weekend, when Moxie madcaps from all over converge on the town for the annual Moxie Days celebration, a series of barbecues, parades, beauty pageants and other summer goings-on. Several hundred Moxie guzzlers showed up last year to bask in the glow of their favorite beverage, and Anicetti thinks this year’s celebration will be bigger than ever. The festival owes it all to Anicetti and to Moxie, a soft drink that was not inspired, invented or bottled in Lisbon Falls. If that doesn’t seem logical, it all makes perfect sense to Anicetti. Moxie needed a place for a festival, he realized, while Lisbon Falls needed an excuse for one. The festival’s beginnings were humble enough. In 1981, Anicetti hosted an autograph party for Frank Potter, another Moxie fanatic who had written a book about the soft drink’s history. “In 1984, when moxie was 100 years old, I called Potter and said, ‘Let’s have a birthday party for Moxie,’” Anicetti said. They’ve hosted one each year since. Anicetti claims 30 percent of Lisbon Falls’ 11,000 residents drink Moxie regularly. And he said the townspeople are excited about this year’s Moxie Days, July 12-13. “And it looks like the parade is going to be about two hours long, much bigger than last year,” he said. Anicetti has only fuzzy memories of the beginnings of the Moxie influence at his store, which was founded by his grandfather in 1914. But Moxie has been a big item for as long as he can remember. “I’ve always enjoyed it, we always drank it and we always had a clientele who came through who like it, too,” Anicetti said. 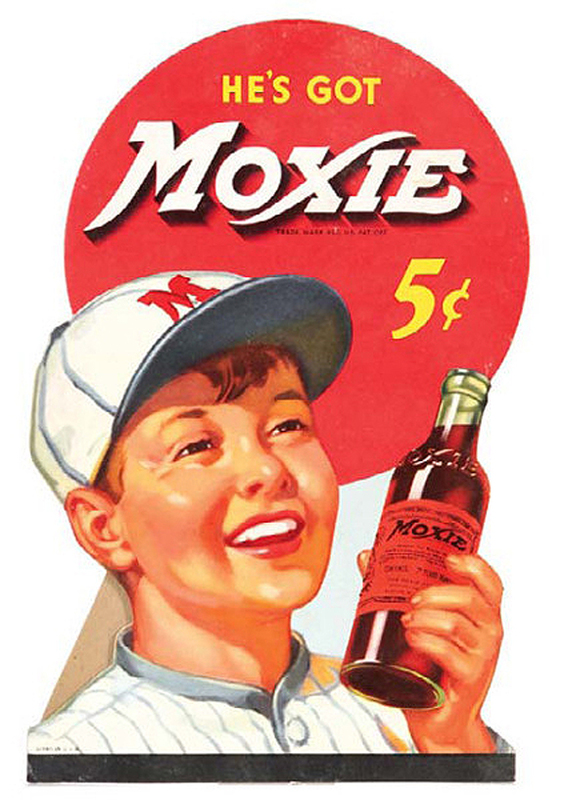 The worst days for Moxie, he said, were in the late 1950s and early 1960s, when Moxie decided to change its formula to make the beverage more appealing to a bigger market. The move was a disaster, Anicetti said. New drinkers didn’t like it any better than the original, and the small but loyal Moxie vanguard couldn’t stand the new sweet taste. But even through the darkest days, Kennebec Fruit remained loyal. Perhaps the strangest part of Anicetti’s love affair with an obscure soft drink is that he’s never been to a bottling plant, and the Moxie company has never acknowledged, or even contacted, the Kennebec Fruit Store. Georgiana Taylor, head of franchise sales for Monarch Co. of Atlanta, owner of Moxie, said she had never heard of Anicetti or the Moxie Days festival.